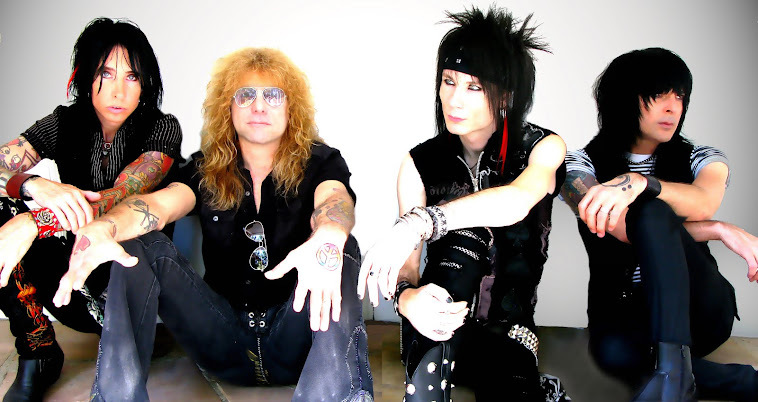 ADLER, the new band led by former GUNS N' ROSES drummer Steven Adler, has been added to the lineup of the Kiss Kruise. The second Kiss Kruise is setting sail October 31 – November 4, 2012 from Miami, Florida to Great Stirrup Cay, Bahamas onboard the Norwegian Pearl. The Kiss Kruise will mark the first-ever live performance of ADLER. "I'm really excited to debut my new band by playing with KISS," states Adler. "KISS has always been one of my favorite bands and they are all great guys. The cruise is sure to be an amazing time!" ADLER is comprised of Steven Adler, frontman Jacob Bunton (LYNAM, MARS ELECTRIC), guitarist Lonny Paul (ADLER'S APPETITE), and bassist Johnny Martin (CHELSEA SMILES). "I'm really looking forward to playing live with this band," states Bunton. "We just finished an incredible record and are looking forward to taking it on the road." Due later this year, ADLER's debut album was recorded in Los Angeles with producer Jeff Pilson (FOREIGNER, DOKKEN) and was mixed by Jay Ruston (ANTHRAX, STONE SOUR). The CD features guest appearances by Adler's former GUNS N ROSES bandmate Slash and ROB ZOMBIE/ex-MARILYN MANSON guitarist John 5. The first single, "The One That You Hated", is out now on iTunes.